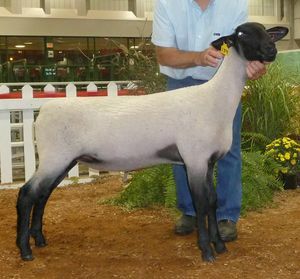 2016 Lamb. 2019 Lambs look like this - excellent muscling, easy doing lambs. Don't miss these genetics! Taking orders for 2019 & 2020 lambs! 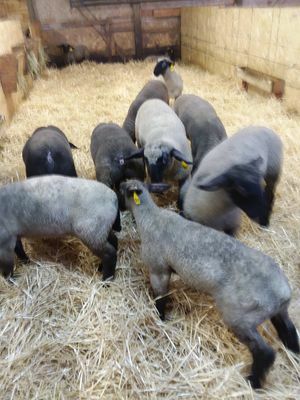 Taking orders for 2019 & 2020 & 2021 lambs, both ewe and ram lambs. 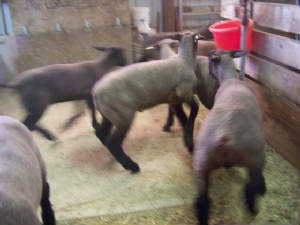 These lambs will be sired by our new Slack ram. 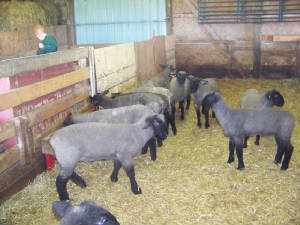 Lambs are very thick, bone and very good quality. Don't miss your chance for 2019 and 2020 as list is already started. 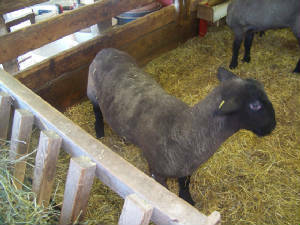 Lambs are easy keepers, have longevity, very correct with bone, thickness and muscling. 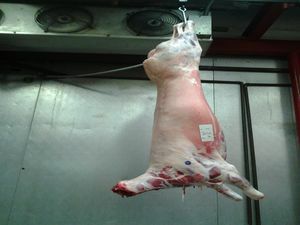 Check out the thickness of this lamb. Only 2 ½ weeks old! muscling, rib and heavy boned lambs.